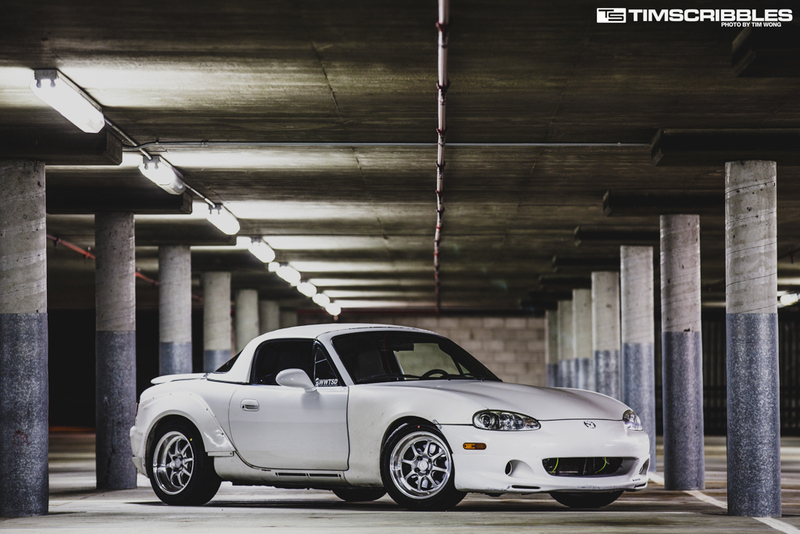 One of my shoots, I got two famous roadster chassis together: the Honda S2000 and the Mazda Miata. 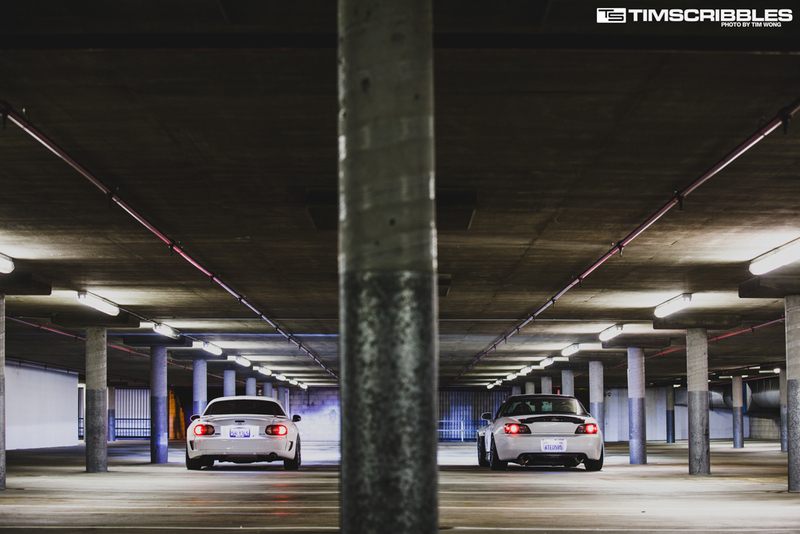 Jay and Chris came out with their cars and since it was already nightfall, we did a simple parking garage shoot. 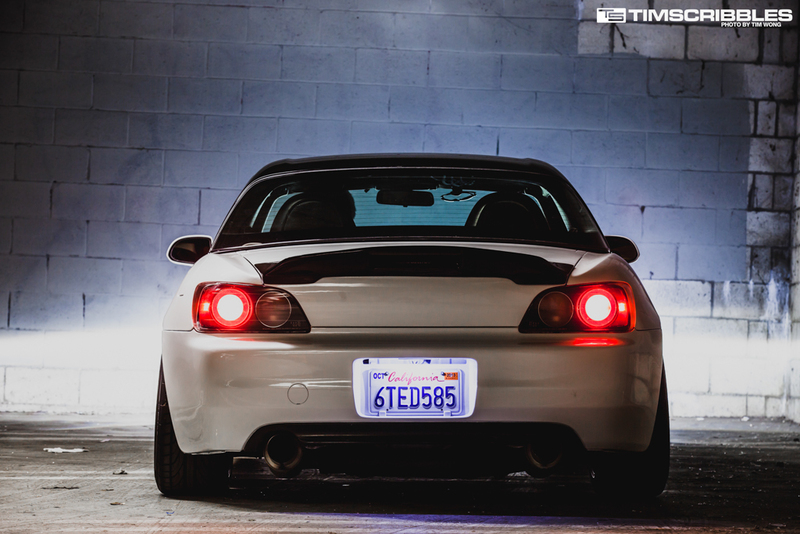 You may recognize Jay’s S2000 since I have shot it before. 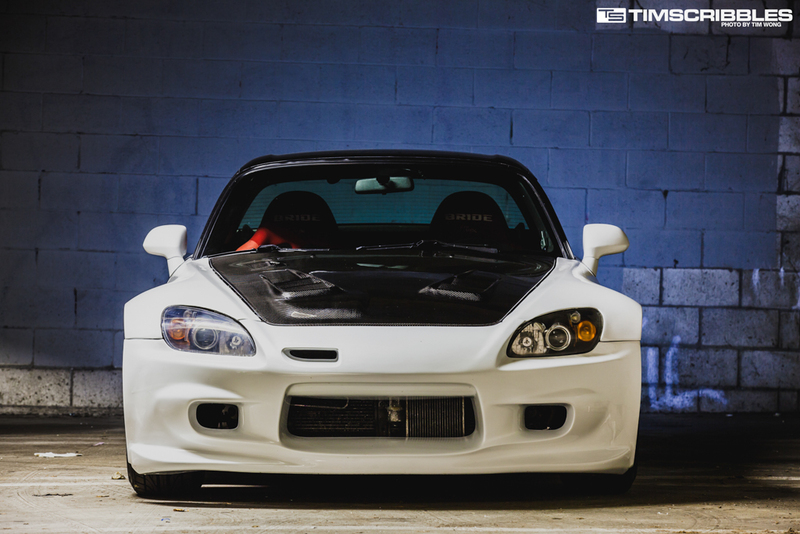 Since then, he’s added a carbon fiber hood, a rear spoiler, and a supercharger. 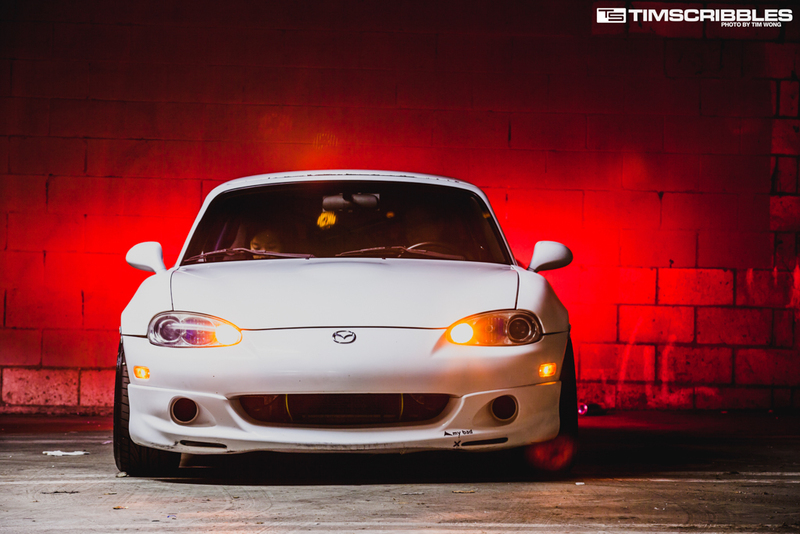 The Ings N-Spec front bumper and the fenders are also new. 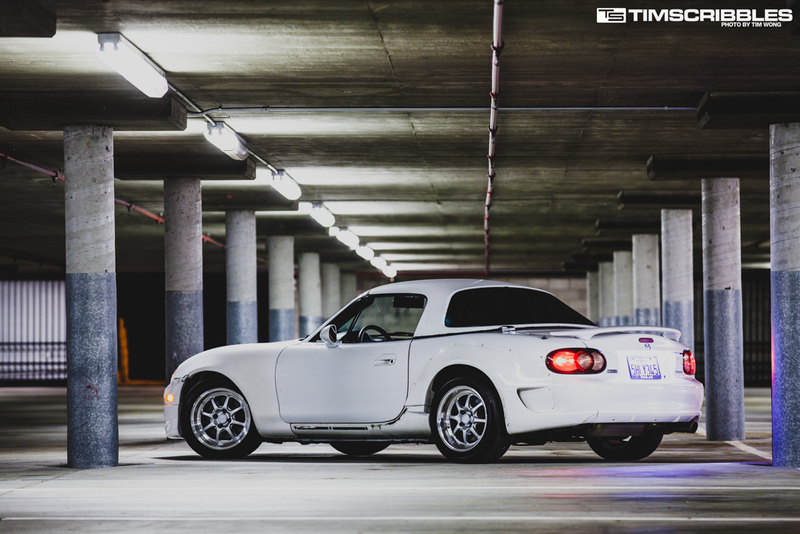 Chris’ NB Miata hasn’t been at a 100% since SEMA of last year due to an array of complications. 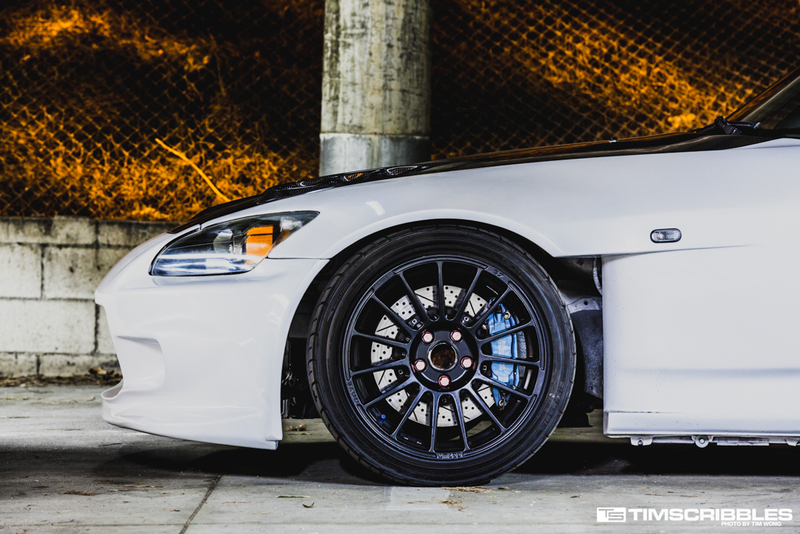 The car originally had a Autokonexion widebody all kit which was supposed to be on display for SEMA show, but ended up not going and he ditched most of the kit due to the impracticality of it for daily driving. All that remains of the kit is the rear flares and the rear bumper.